The first mayor of Paris died by guillotine, the second committed suicide and was found half eaten by wolves. No wonder they suspended the office for fifty years after the French Revolution. Then, after Napoleon III's exile in 1870, the mayor's office was again suspended for over a century. Thank goodness for Jacques Chirac who made up for the other short-term mayors by holding office for almost twenty years. (Thank goodness for Chirac… that is except for the corruption conviction.) Let's look back at the who's who of the sixteen mayors of Paris. Jean Sylvain Bailly was an astronomer, mathematician and political leader during the French Revolution. Born in Paris, Bailly was the son and grandson of royal artists who worked at the Louvre. As a child Bailly planned to follow in his family's footsteps; however, he became attracted to science, specifically astronomy. He was an excellent student and correctly calculated the 1759 orbit of Halley's Comet. In 1778 he was elected a foreign member of the Royal Swedish Academy of Sciences and was admitted to the Académie Française. Things were looking rosy, right? But, in the years leading up to the French Revolution Bailly shifted his focus from science to politics, where he moved up the ranks quickly. He was elected to the pre-revolutionary Estates-General and later as the inaugural president of the National Assembly. (That's him in the center of the illustration.) His noblest act was passing the decree declaring Jews to be French citizens, thereby repealing the unfair Jewish tax. The infamous storming of the Bastille occurred in Paris on July 14, 1789. The very next day Bailly became the first mayor of Paris. Mayor Bailly met with Louis XVI at the Hotel de Ville to present the new symbol of the revolution — the tricolor cockade. Following a failed attempt by the royal family to flee France, crowds gathered at the Champ de Mars calling for the overthrow of the king. Imposing martial law, Bailly waved a small red flag to order the National Guard to fire shots into the crowd. Many lives were lost and Bailly was blamed. Revolutionaries considered the Champ de Mars Massacre as an example of oppression by the government. Now extremely unpopular, Bailly resigned and left Paris. 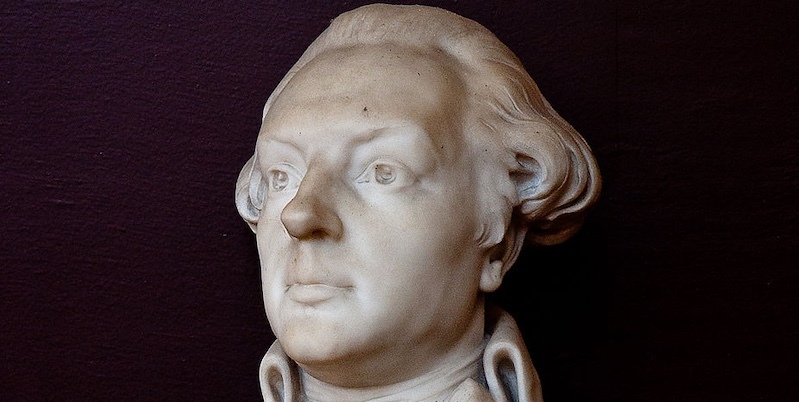 In July 1793, he was arrested and pressured to testify against Marie Antoinette. When he refused he was brought before the Revolutionary tribunal, where he was found guilty and sentenced to death the next day. On November 12, 1793, the first mayor of Paris was guillotined on the Champ de Mars, the symbolic site of his betrayal of the people. The little red flag he had used to give the order to fire on the crowd was burned in front of him before he was executed. 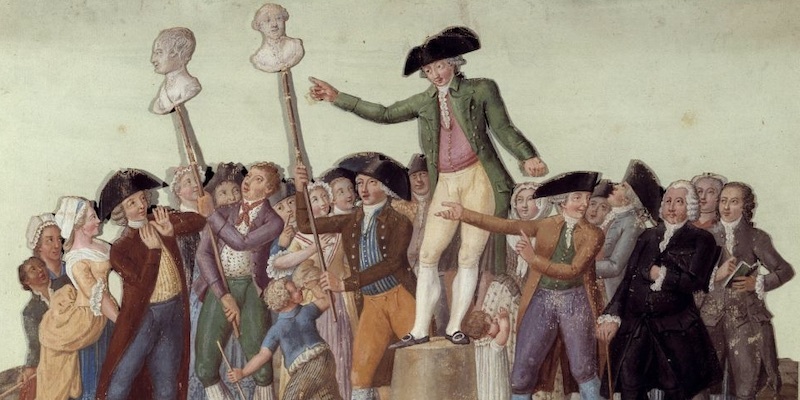 You can't look at the early history of Paris mayors (which is essentially about the French Revolution) without introducing the two opposing forces — the Girondists and the Jacobins; the Jets versus the Sharks, the Montagues versus the Capulets. 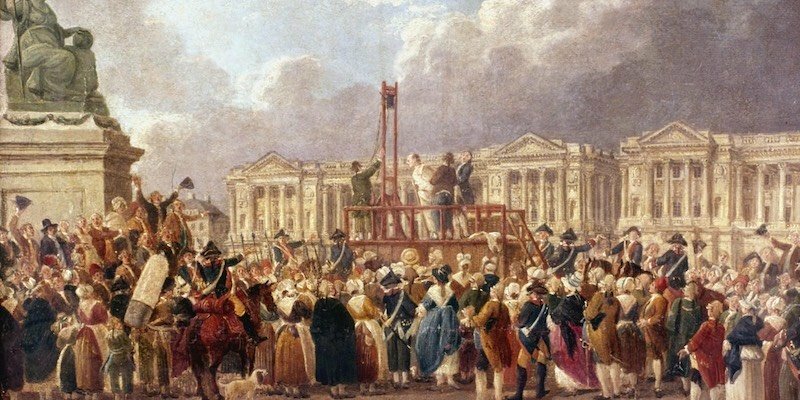 The Jacobins were radical thinkers who wanted the immediate execution of Louis XVI. During the Reign of Terror the Jacobins executed whoever opposed them (or who they believed were opposed). The Jacobins were led by Robespierre, Danton, and Marat. However, the Girondists, who were less radical, were the rising power in 1791. Following Jean-Sylvain Bailly, Jerome Pétion de Villeneuve was elected the second mayor of Paris. His hatred of the monarchy was well known and it's believed he allowed a mob to overrun the Tuileries Palace and harass the royal family. 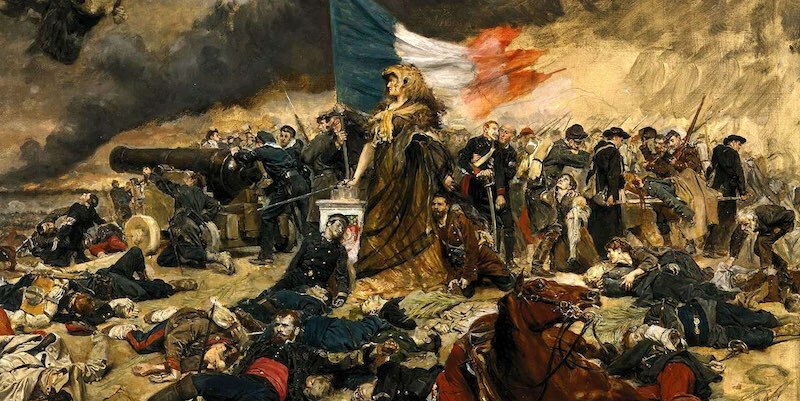 For neglecting to protect the Tuileries, he was suspended from his duties, but the leaders of the National Assembly soon rescinded the suspension. Pétion demanded the king step down. By late summer of 1792 frenzied mobs targeted prisoners, royalist sympathizers, and Catholic priests in a series of violent acts that are collectively known as the September Massacres. 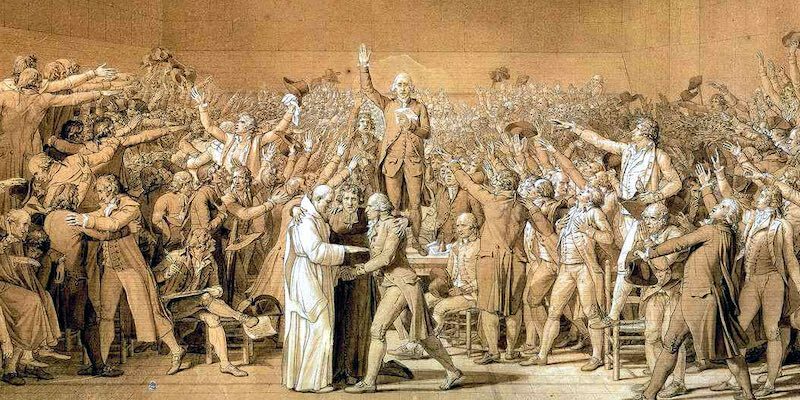 Jealous of Robespierre's popularity, Pétion joined the less radical Girondins and on June 2, 1793 he and his Girondin friends were expelled from the National Convention (the government formed after the Revolution) during a coup d'état. Escaping arrest, Pétion made his way to Saint-Emilion in southwestern France, where he committed suicide. Or did he really? All we know for sure is that his dead body was found in a remote field, half eaten by wolves. The six-day mayor, in July 1792, when he filled in for the deposed Pétion de Villeneuve. Mayor of Paris for six months. Mayor of Paris for nine days. Resigned. Mayor of Paris for less than a year, 1792 to 1793. His wife was probably more well-known than him, having written a popular book on beekeeping, published in 1798. Perhaps he retired to help tend the hives. Born in Verdun, Jean-Nicolas Pache grew up in Paris and became the first secretary at the Ministry of Marine, Comptroller of the king's household and, in 1792, Minister of War. He seems to have been ousted from his ministerial posts due to incompetence, but even so, in February 1793, Pache was elected Mayor of Paris. While mayor he called for the Girondist leaders to be removed from office, submitting a petition with 12,000 signatures to the National Convention. Pache also famously established a maximum price for bread, very popular in France and still in existence. He then turned his attention to the another important matter, one the people of Paris had fought so hard for — a new constitution. His was a tumultuous period and, while still in office he was arrested in 1794, likely destined for the guillotine. However, he owed his life to an amnesty of October 1795. 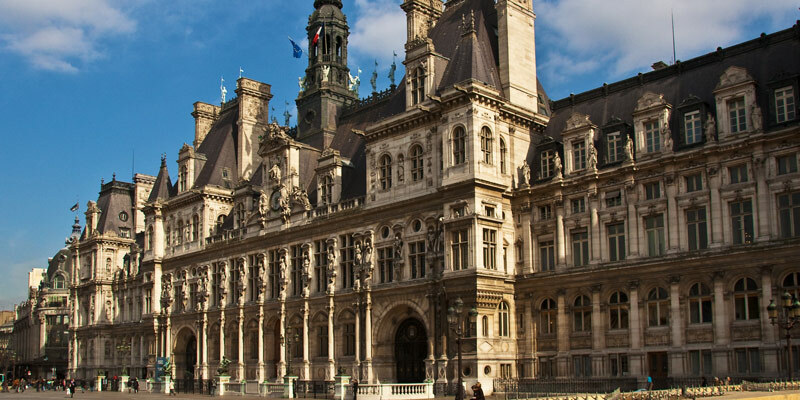 Today, you can find his statue at the Hotel de Ville (photo). Fleuriot-Lescot was a Belgian architect, sculptor, revolutionary, and mayor of Paris for two months and eighteen days. He was a supporter of Robespierre and stayed loyal to him after the Jacobins (Remember them? The Sharks?) were overthrown. So loyal, in fact, that he was executed along with Robespierre and other Jacobins. After his death, the office of mayor of Paris was abolished, having been in existence for merely five years and thirteen days… and eight mayors. Given the dismal track record of first batch of Paris mayors — guillotined, arrested, resigned, eaten by wolves — it seemed a good strategy to give the office a rest for a fifty years or so. 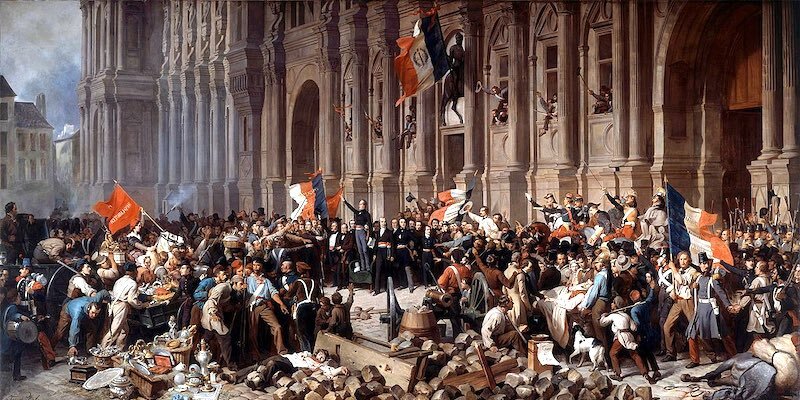 It wasn't until another revolution in February 1848 (called, unoriginally, the February Revolution and shown in the painting above), ending the reign of French king Louis Philippe, that the office of the Mayor of Paris was re-launched. But it didn't last long. 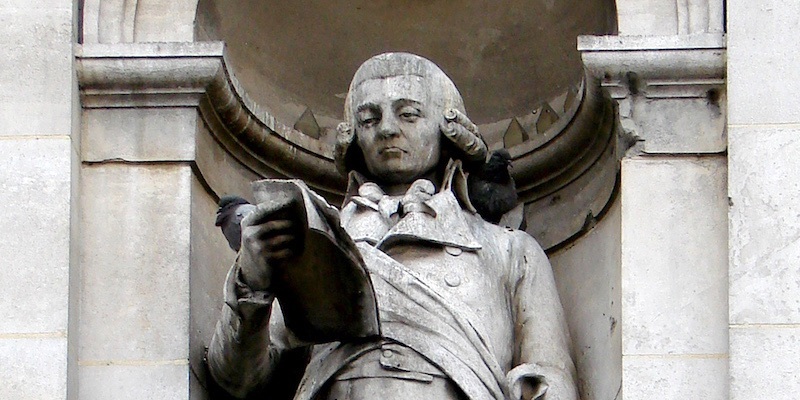 Louis-Antoine Garnier-Pages, the first mayor of Paris in the modern era, lasted for only two weeks. On March 5, 1848, he was promoted to Minister of Finance. Next up, Armand Marrast — Paris mayor from March 9 to July 19, 1848. In June of that year there was another mini-revolution, called the June Days Uprising. A new national constitution was adopted in November. Louis-Napoleon Bonaparte (nephew of the more famous Napoleon) was elected French President in December. Three years later Louis-Napoleon would declare himself emperor. Somewhere, in all that confusion, the office of Mayor of Paris faded away. Again. With the emperor gone, an opponent of his who had been in exile in Belgium stepped in to serve as mayor of Paris. Etienne Arago, formerly director of the French post office, served from September 4 to November 15, when he was replaced in office by the near-legendary Jules Ferry. Ferry was Paris mayor during the very difficult period of the siege of Paris. He had the unpleasant job of imposing food restrictions and more or less was forced to resign in March 1871. It's Ferry's later career that made him beloved. Jules Ferry is famous for making education free, secular, and compulsory. He was assassinated in 1887. Today you can find a street or school named in honor of Jules Ferry in almost every town and city of France. 13. Jacques Chirac – 18 Years. No Wolves. Flaming Jet. There was no mayor of Paris between 1871 and 1977. The office was abolished after the resignation of Jules Ferry, following the overthrow of Napoleon III. For almost the entire period from 1794 to the 1970s Paris was the only city or town in all of France without a mayor. 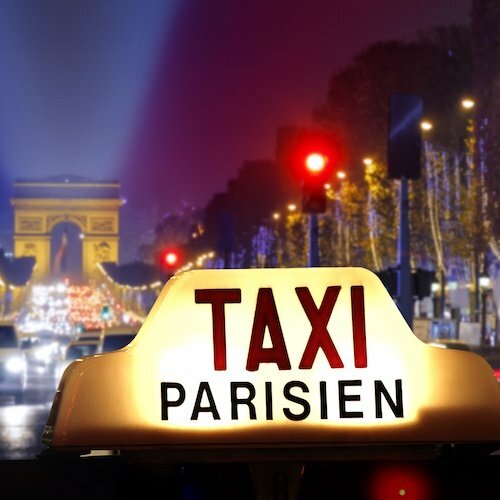 It wasn't until 1977 that the French Parliament passed a law granting Paris the right to elect its own mayor. Jacques Chirac has seen it all. He was the first 20th-century mayor of Paris, holding that office for almost twenty years. He was the president of France twice. He was twice the prime minister of the country. Chirac accomplished amazing things — he was the first president of France to take responsibility for the deportation of Jews during the Vichy regime; he ushered in programs to help the elderly, the disabled and single mothers. He nearly died in a freak accident when a Concorde jet at Charles de Gaulle lost control and burst into flames, very nearly colliding with another airplane that Chirac and his wife were in. He also survived an assassination attempt by a crazed right-wing gunman on Bastille Day in 2002. In 2011, four years after leaving the presidency, Chirac was found guilty of stealing public funds and abusing public confidence. He was given a two-year suspended prison sentence. 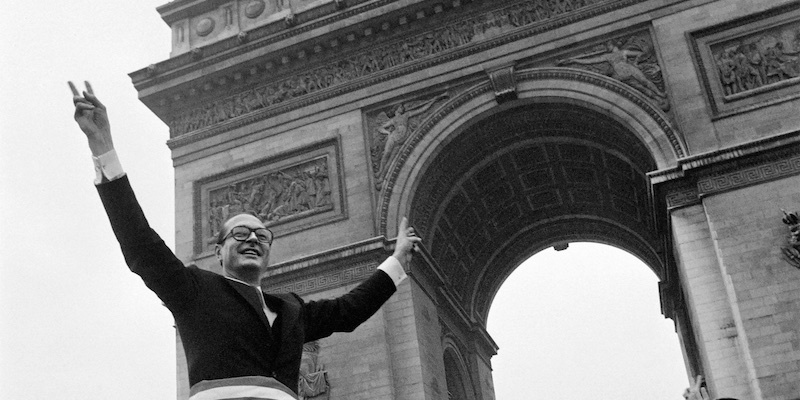 It's somewhat ironic that Prime Minister Georges Pompidou nicknamed Chirac "bulldozer" for his skill at getting things done. When Delanoë took office in 2001 he vowed that cars would not dominate city policies and that he would focus on improving public spaces. He made good on both promises. Fewer than half of Parisian households own a car, far less than any other European city, so it makes sense to improve pedestrian spaces. 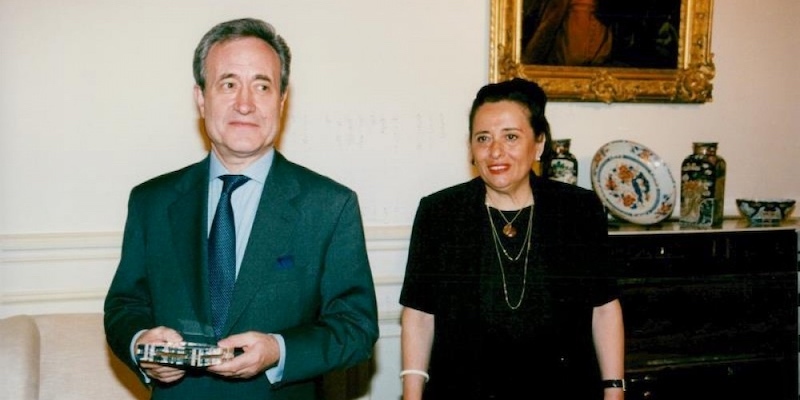 Delanoë also focused on transparency in government, a radical change from the scandalous ways of his predecessor Jean Tiberi (and, it transpired, Chirac). 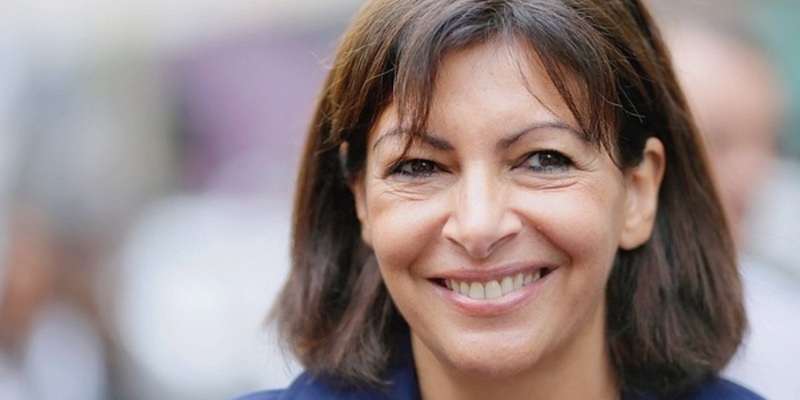 Born in Spain, Anne Hidalgo, is the first woman mayor of Paris and only the second mayor to be born outside France. She has continued in Delanoë's footsteps with a focus on alternate transportation and a substantial increase in bicycle parking spaces. Hidalgo has an ambitious plan to redesign the major squares of Paris in a pedestrian-friendly way, including the places at Nation, Montparnasse, Bastille, Denfert-Rochereau, and Pantheon. "A city where you're surrounded by hubbub, abandoned to cars — that isn't a real city," Hidalgo is quoted as saying. 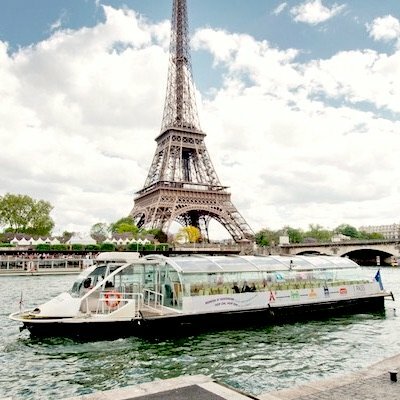 In May 2016, Hidalgo introduced Paris Respire (Paris Breathes) to combat air pollution. The initiative bans cars in certain areas on the first Sunday of the month, and offers free public transport for the day, including the city's bicycle and electric car systems. 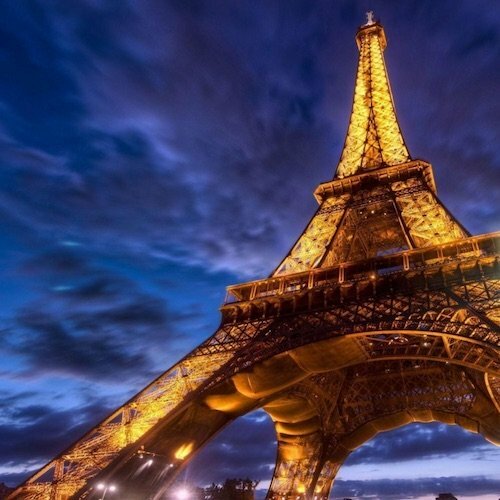 Hidalgo and her successor Delanoë have done a lot to make Paris a better place. 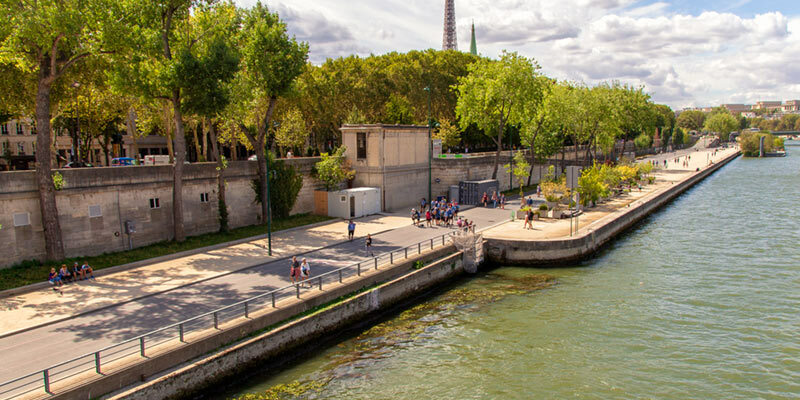 The nonprofit Project for Public Spaces calls Paris, "a city that has quietly done more than any other in recent decades to increase livability… This change is Bertrand Delanoë's most lasting legacy."